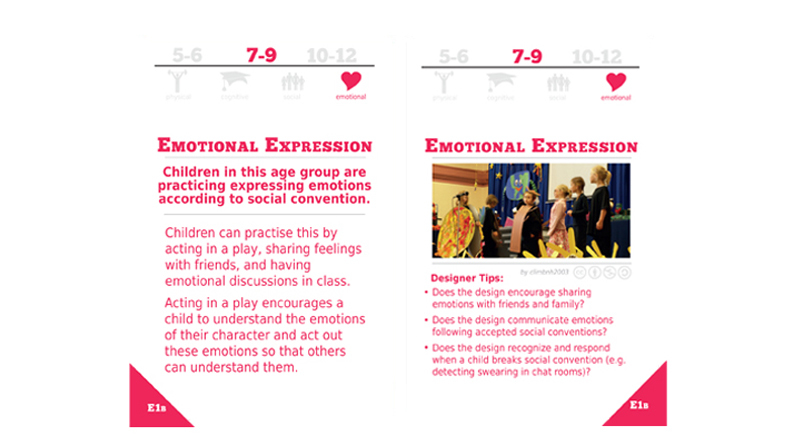 There is a wealth of theoretical knowledge about the developmental abilities and skills of children. However, this knowledge is not readily accessible to designers of interactive products. 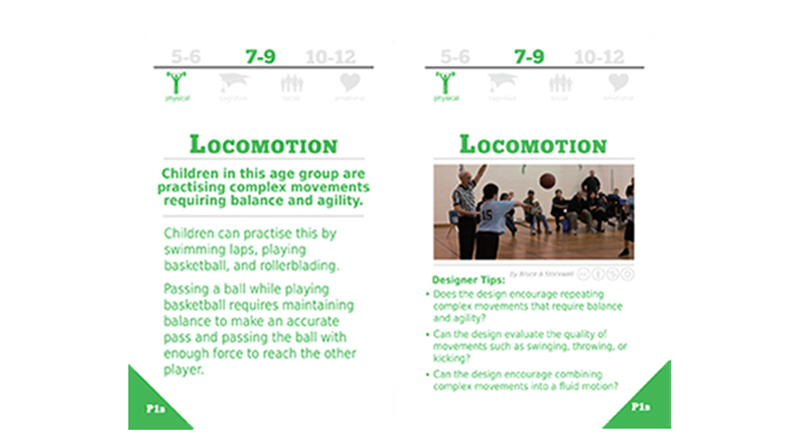 In this project, we are developing and evaluating developmentally situated design (DSD) cards. 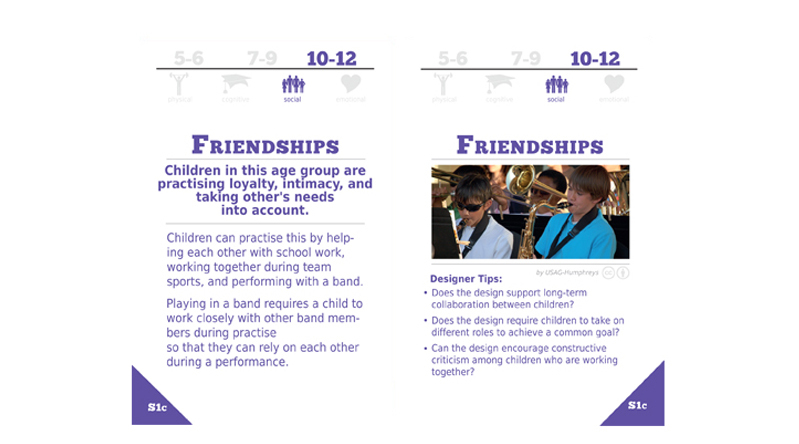 DSD cards are a design tool that makes age specific information about children's developing cognitive, physical, social, and emotional abilities readily accessible for designers. Deng, Y., Antle, A.N., and Neustaedter. 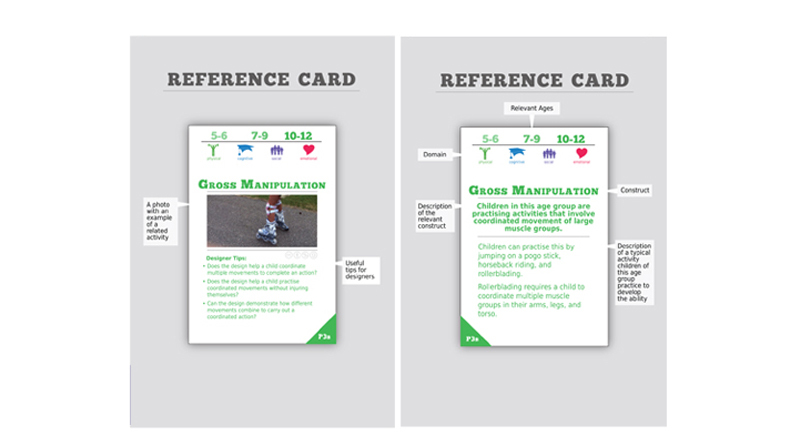 C. (2014) Tango cards: A card-Based design tool for informing the design of tangible learning games. In Proceedings of Conference on Designing Interaction Systems (DIS '14), ACM Press (Vancouver, Canada, June 21-15), 695-704. Deng, Y. (2014). 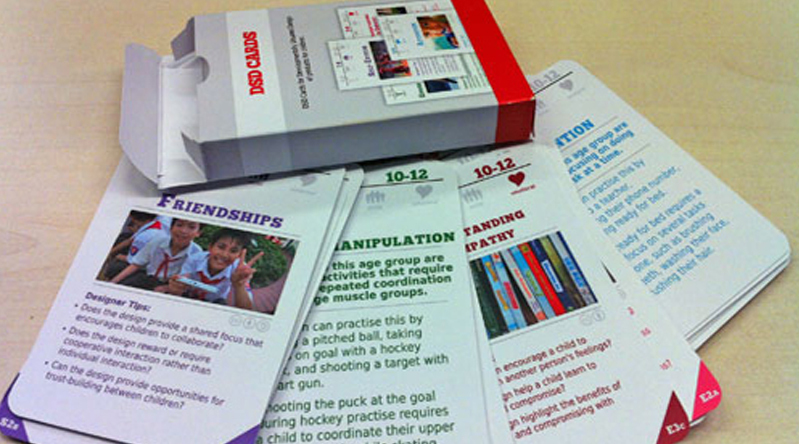 Tango Cards: A Card-based Design Tool for Informing the Design of Tangible Learning Games. (Master Thesis, Simon Fraser University, Surrey, Canada). Retrieved from http://summit.sfu.ca/item/14178. Bekker, M.M. and Antle, A.N. 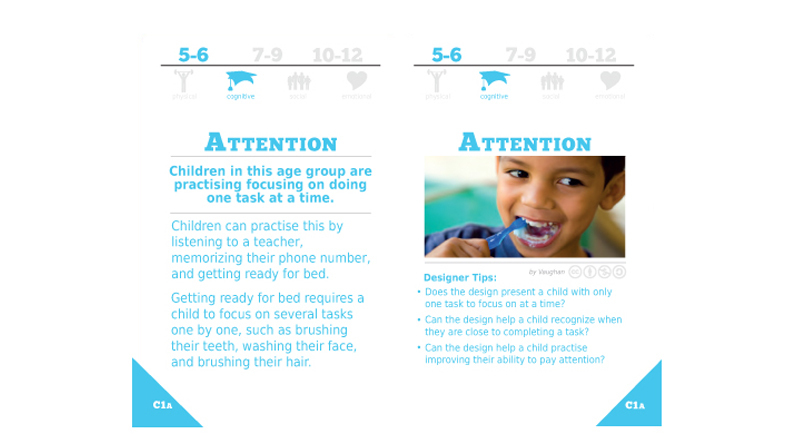 (2011) Developmentally Situated Design (DSD): A design tool for child-computer interaction. In Proceedings of Conference on Human Factors in Computing Systems (CHI '11), ACM Press (Vancouver, Canada, May 7-12), 2531-2540. Click here to download the original card set.